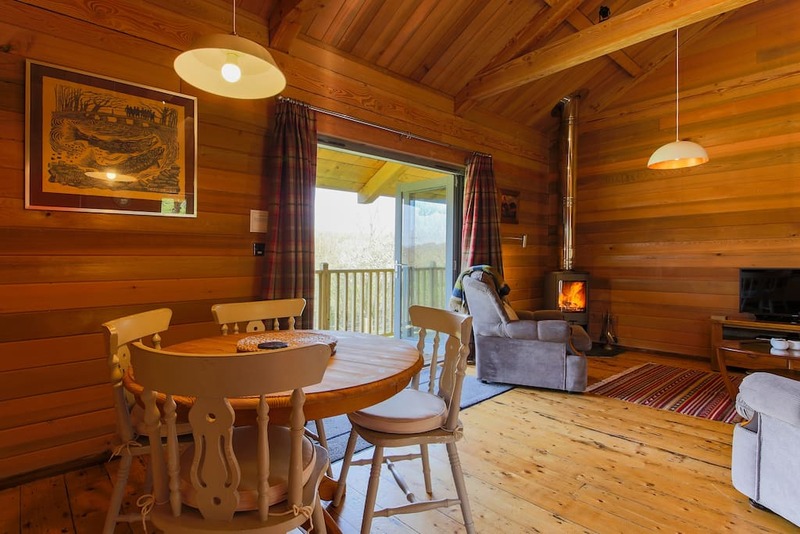 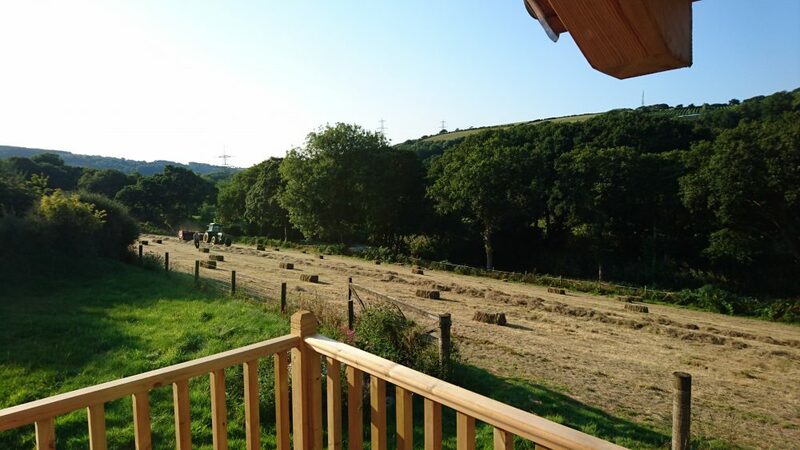 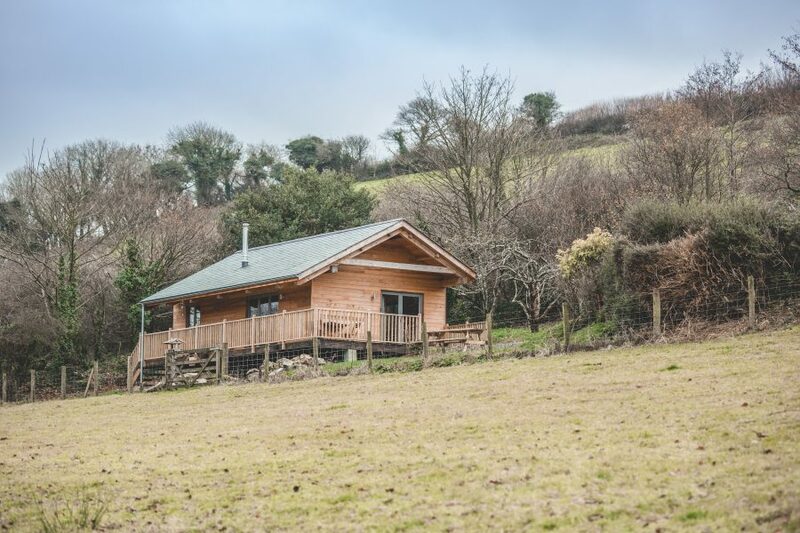 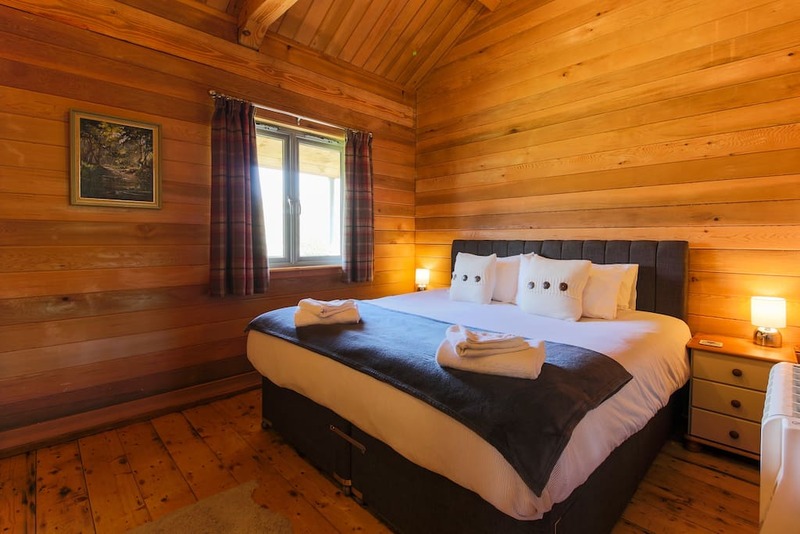 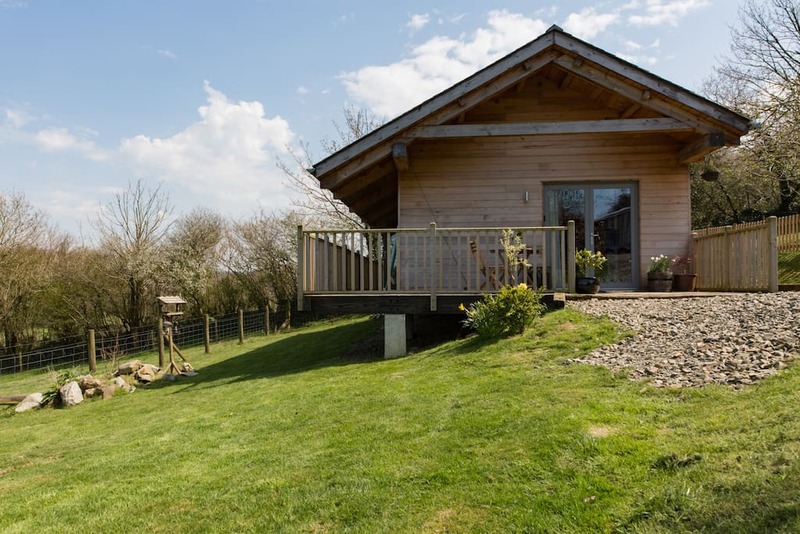 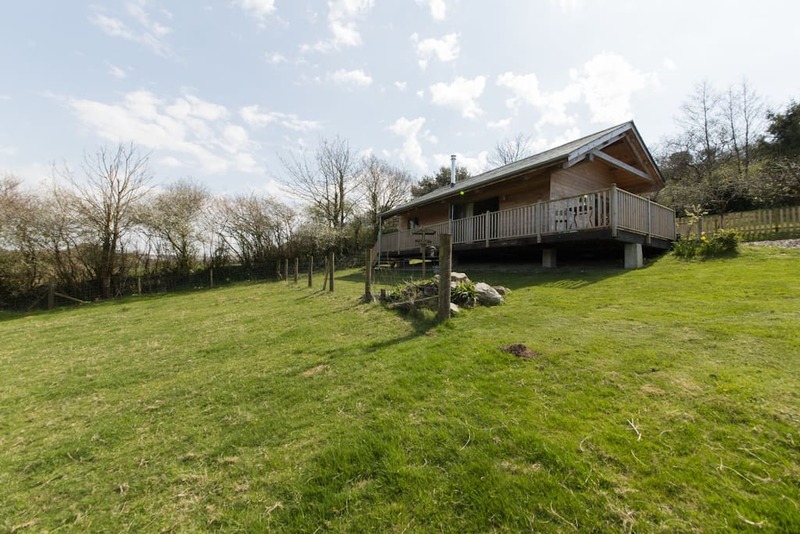 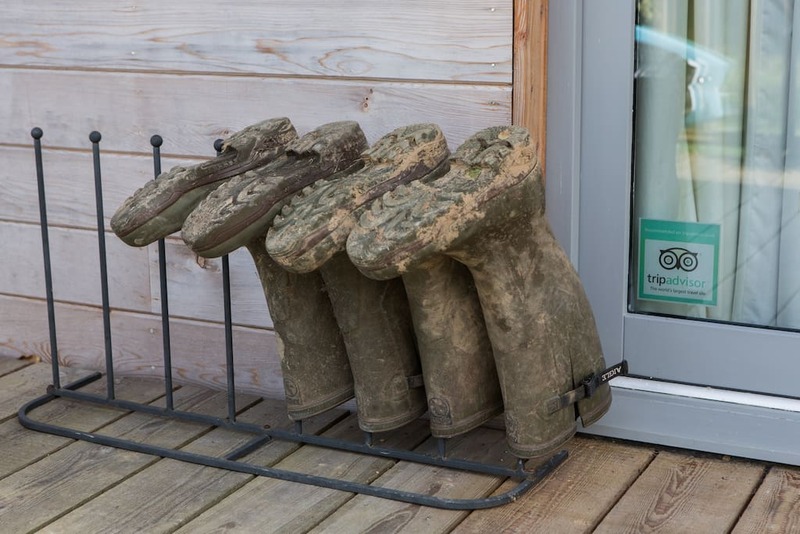 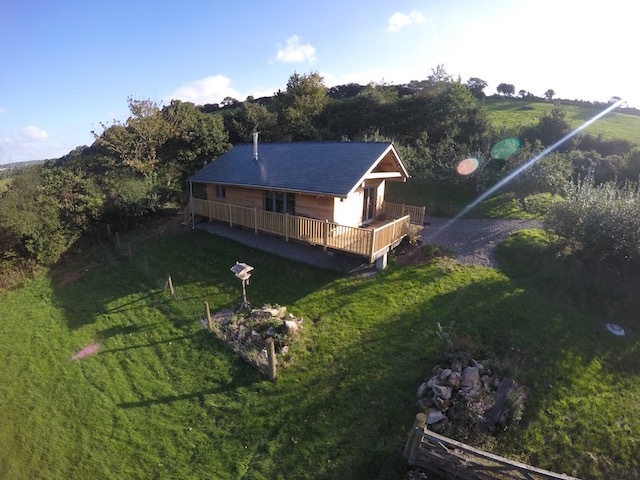 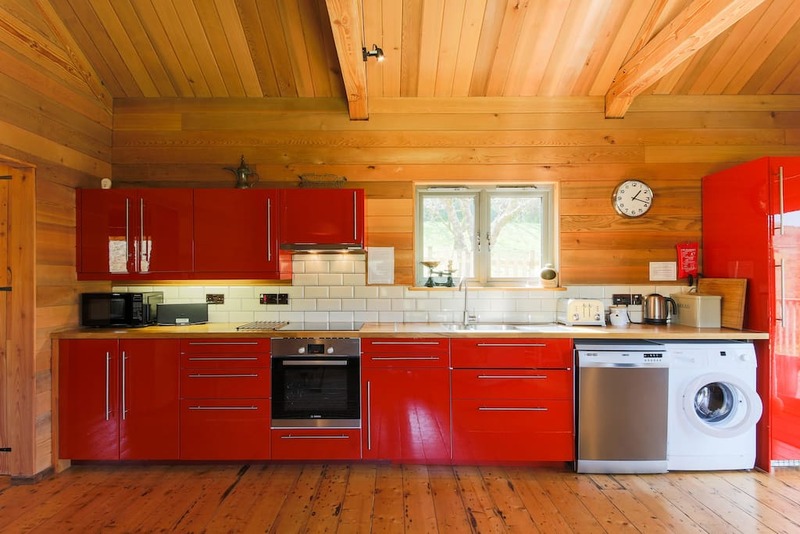 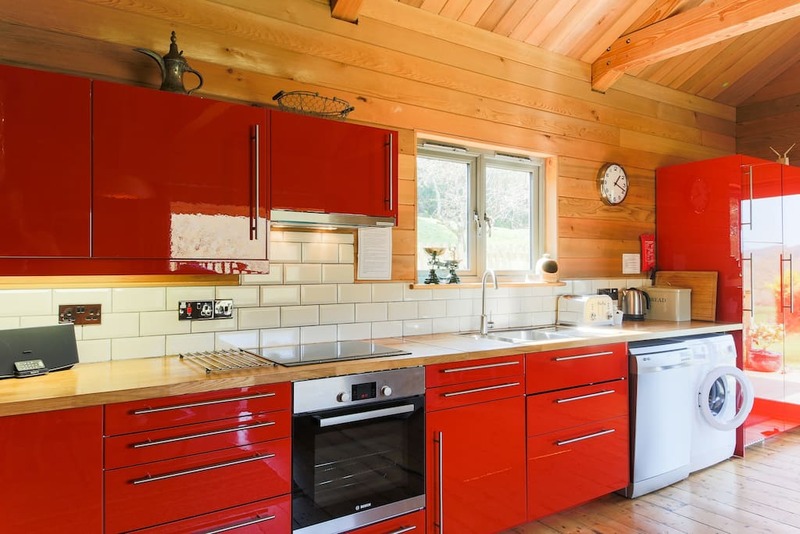 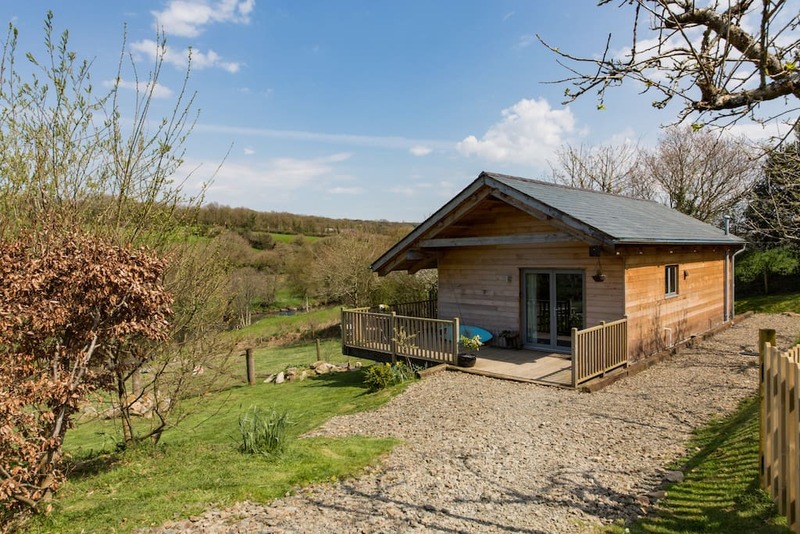 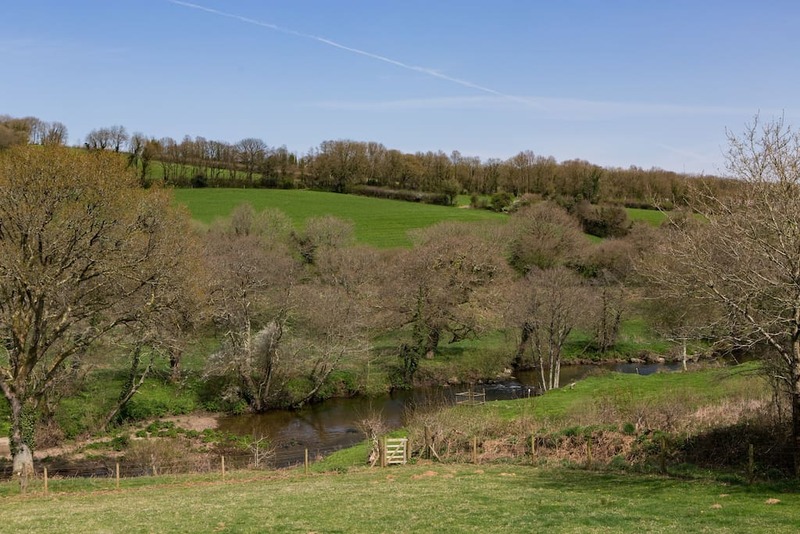 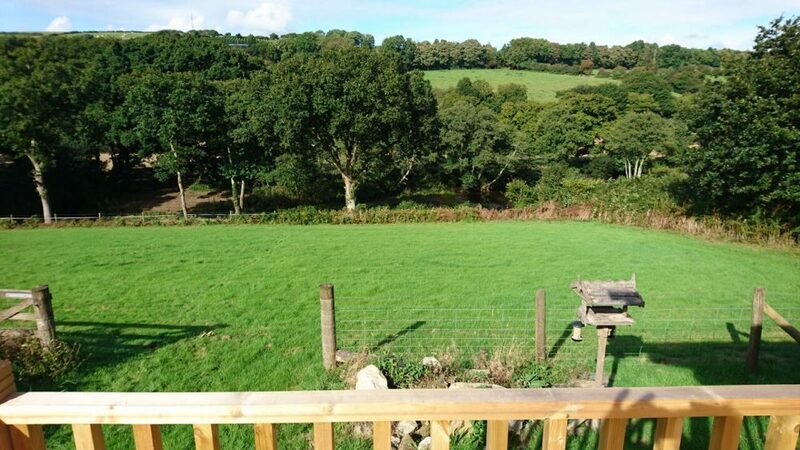 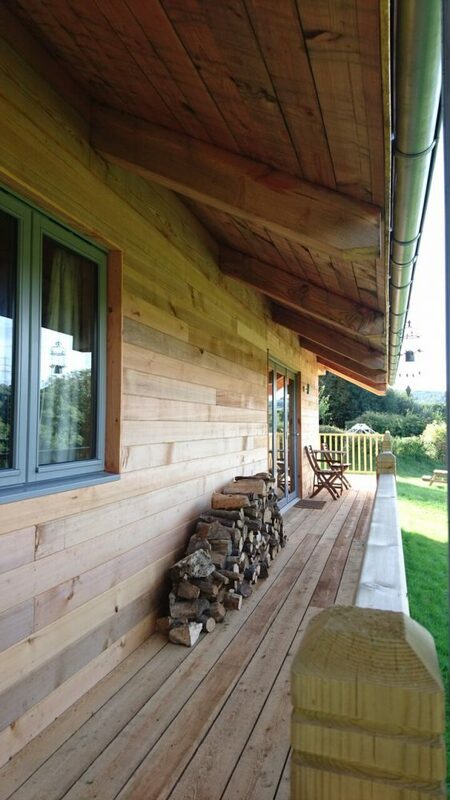 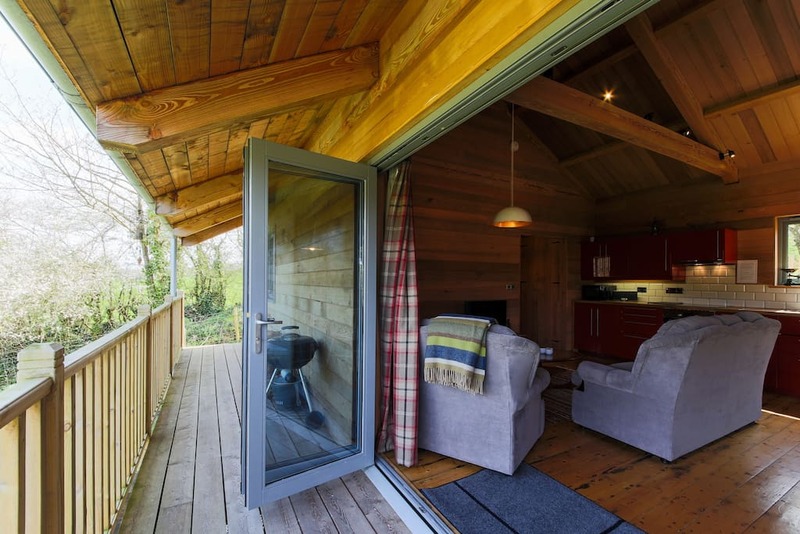 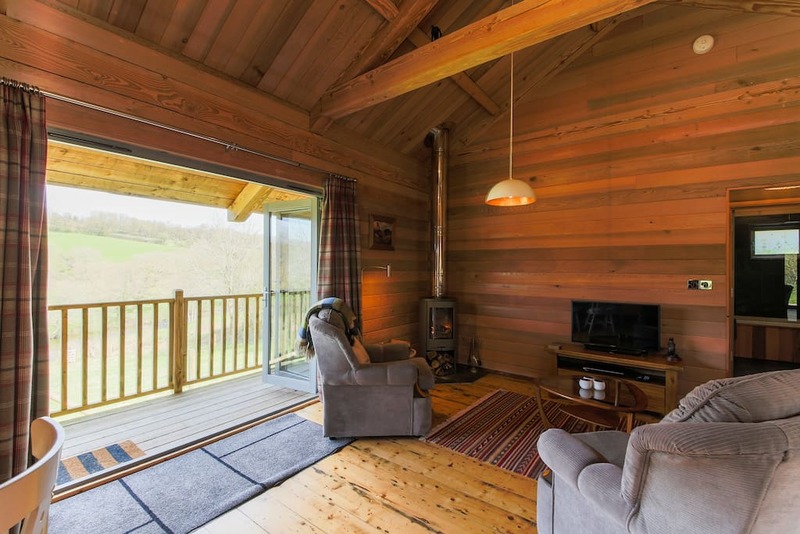 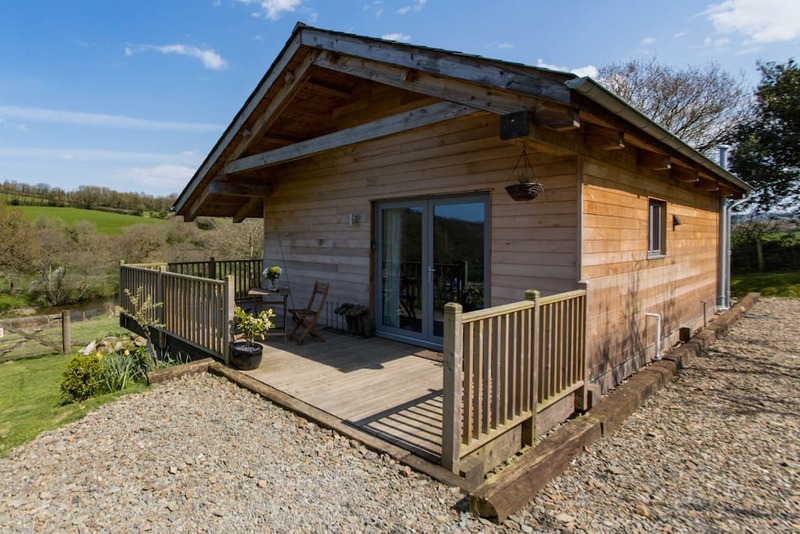 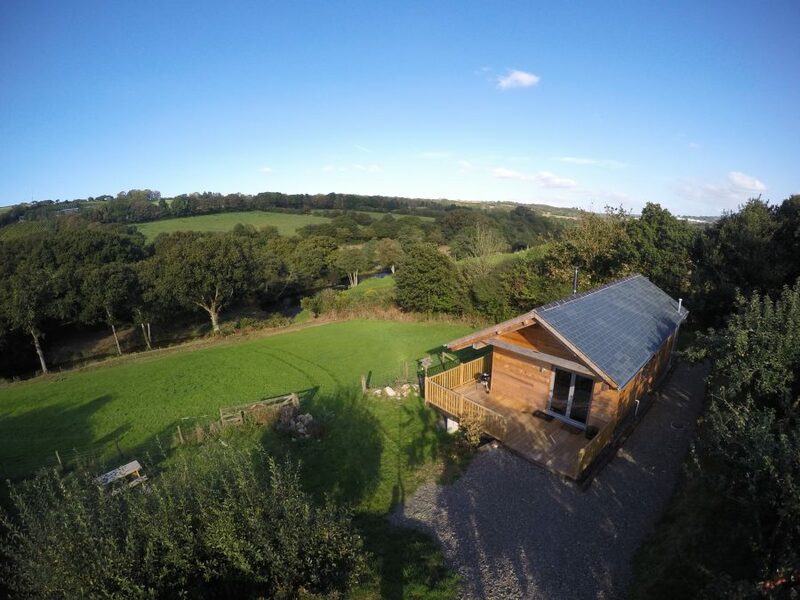 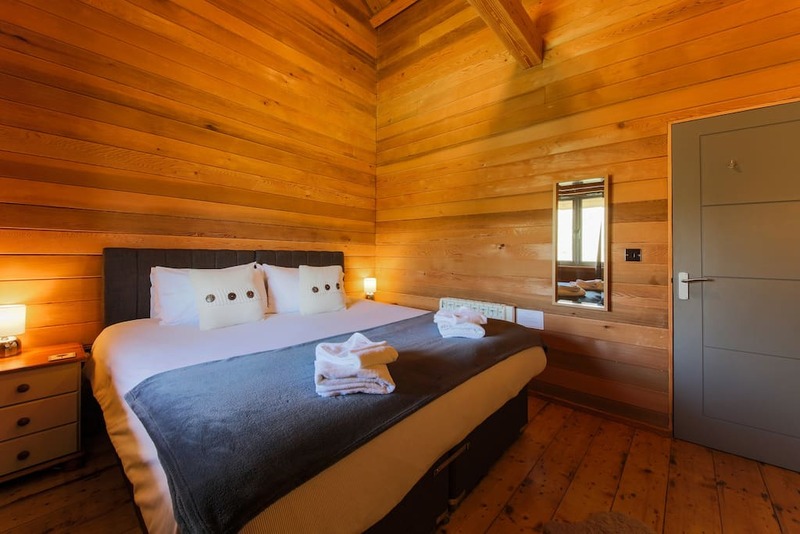 Kingfisher Cabin is a brand new one bedroom wooden lodge with breathtaking views across the Camel Valley, River Camel and the Camel Valley Vineyards. 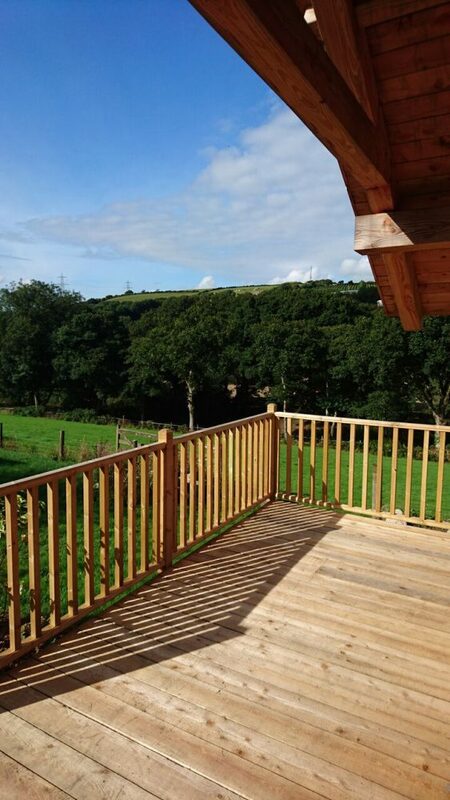 Kingfisher Cabin is in a wonderfully peaceful, secluded and private spot featuring a double aspect balcony which is a fantastic sun trap and a private garden with picnic table and BBQ. 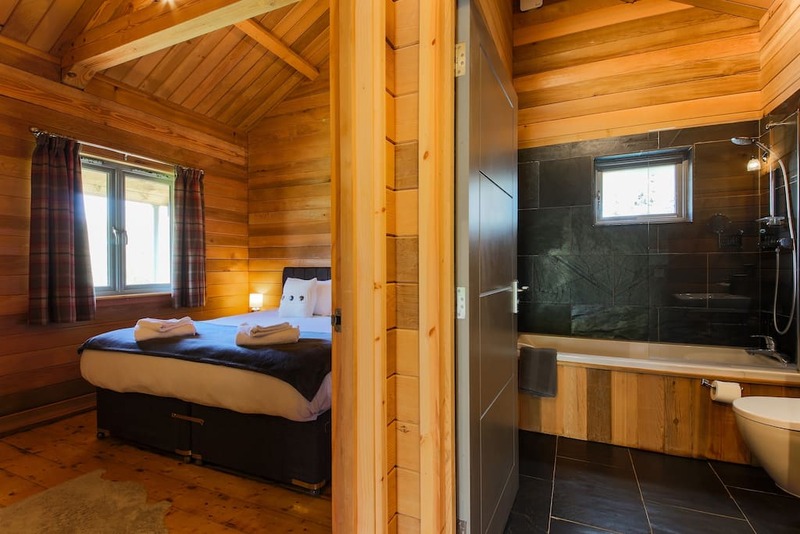 Kingfisher Cabin has a comfortable super king-size bed which can also be converted to two standard size twin beds and there is room for a travel cot or extra single bed for small families. 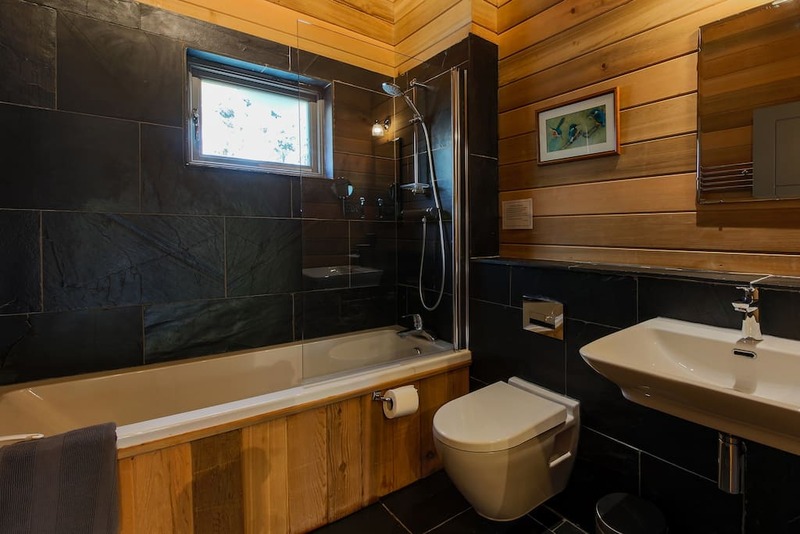 The modern bathroom has a shower over bath, heated towel rail and underfloor heating. 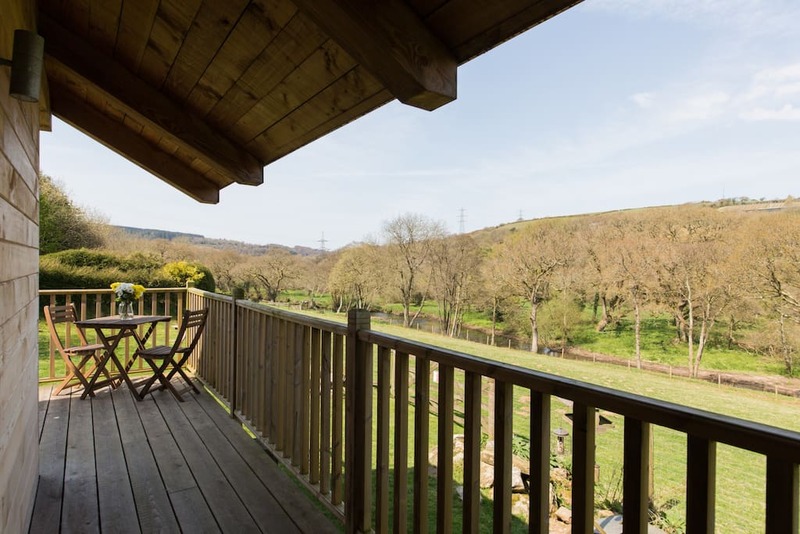 There is a generous sized, open-planned kitchen, dining area and lounge with two sets of french doors opening out onto the balcony. 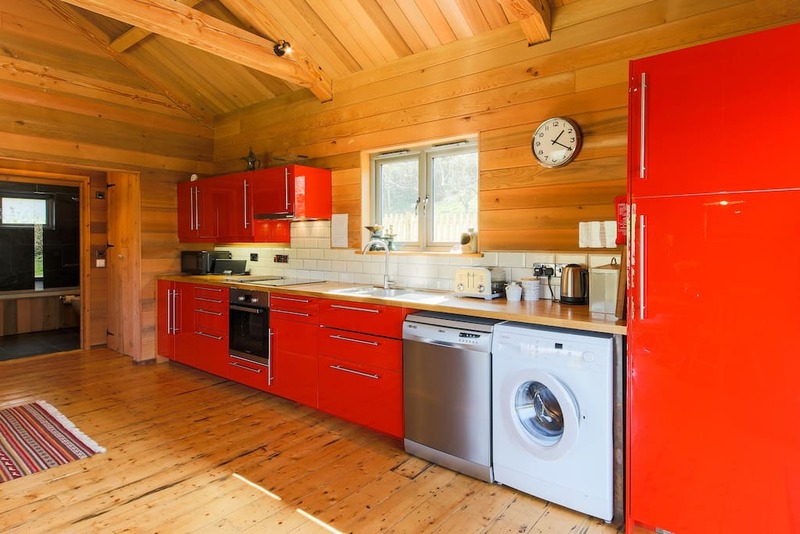 The kitchen is fully equipped including oven, hob, microwave, dishwasher, fridge/freezer and washing machine. 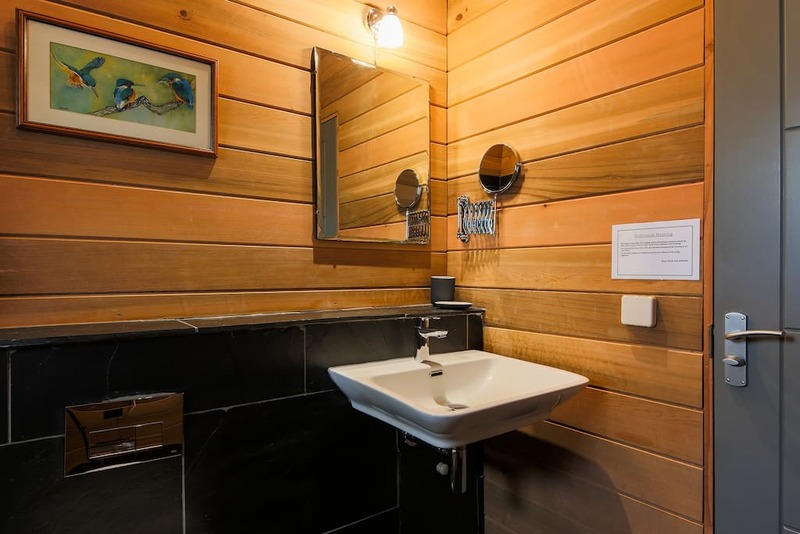 There is also a large airing cupboard. 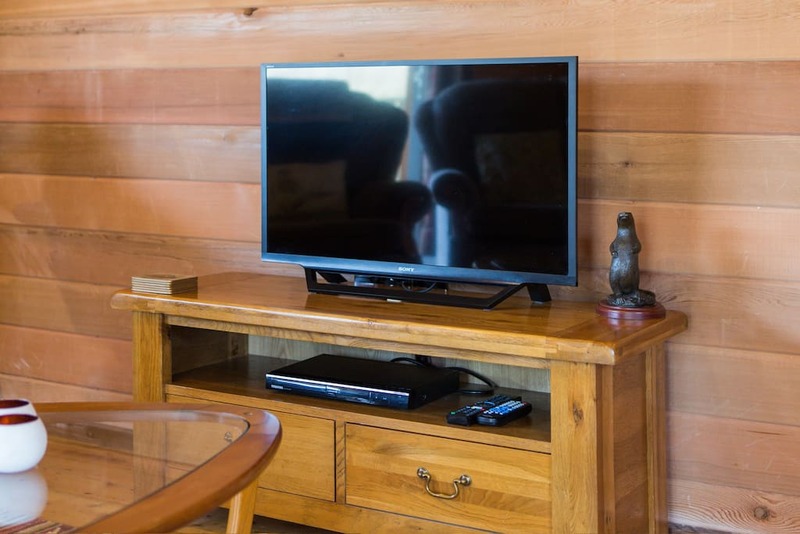 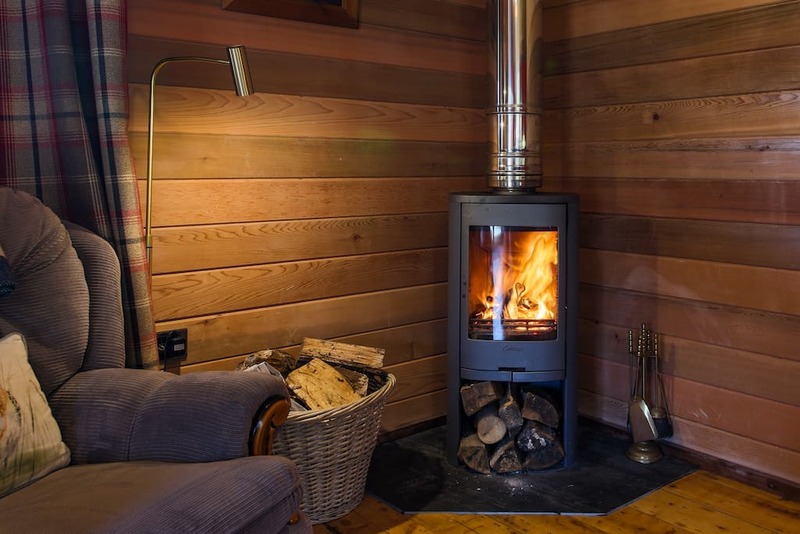 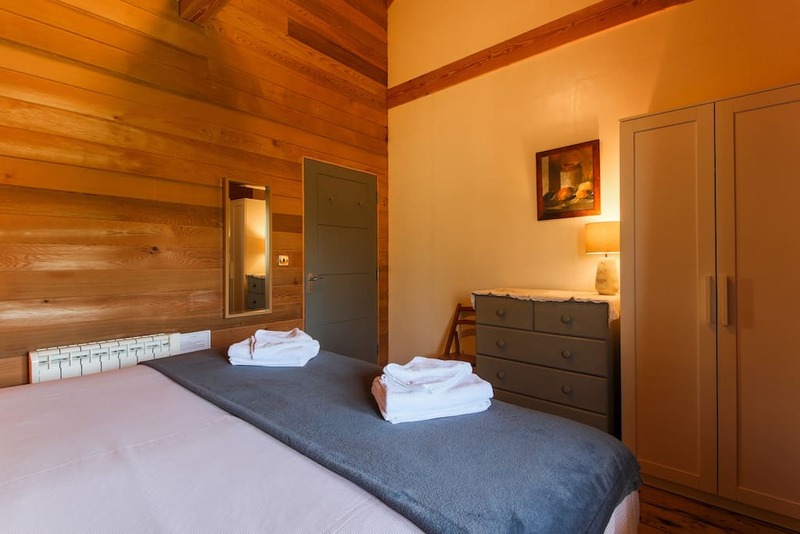 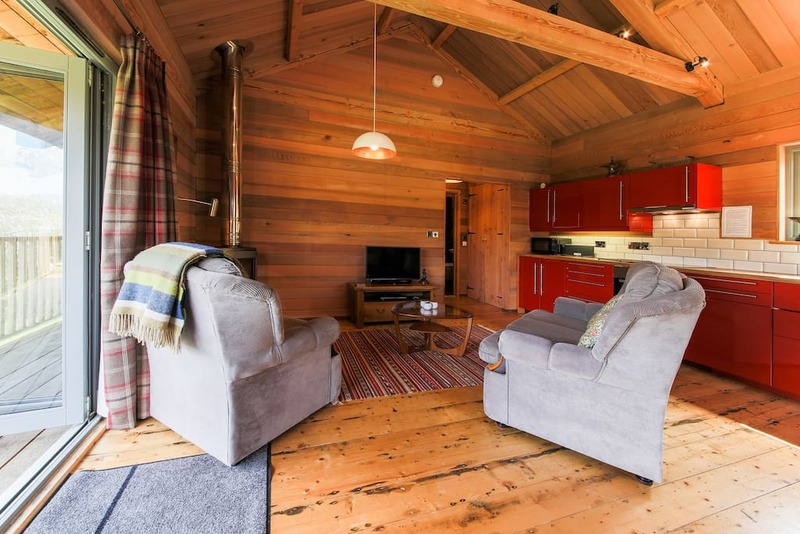 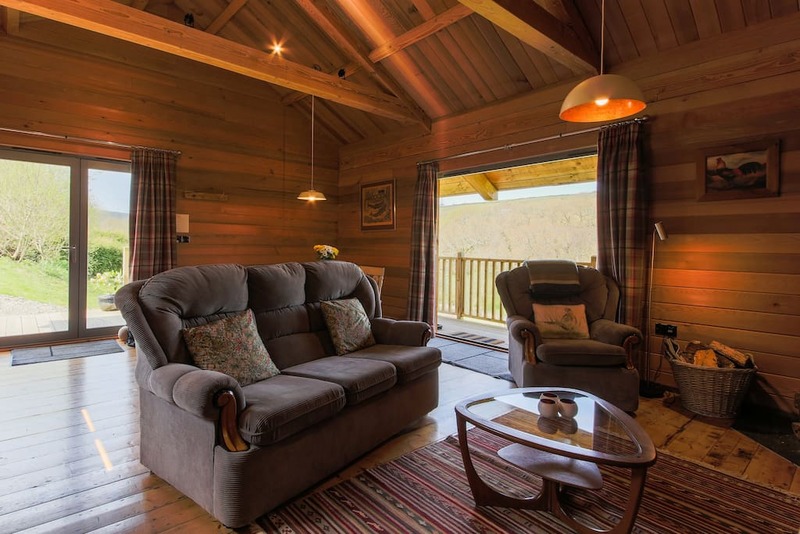 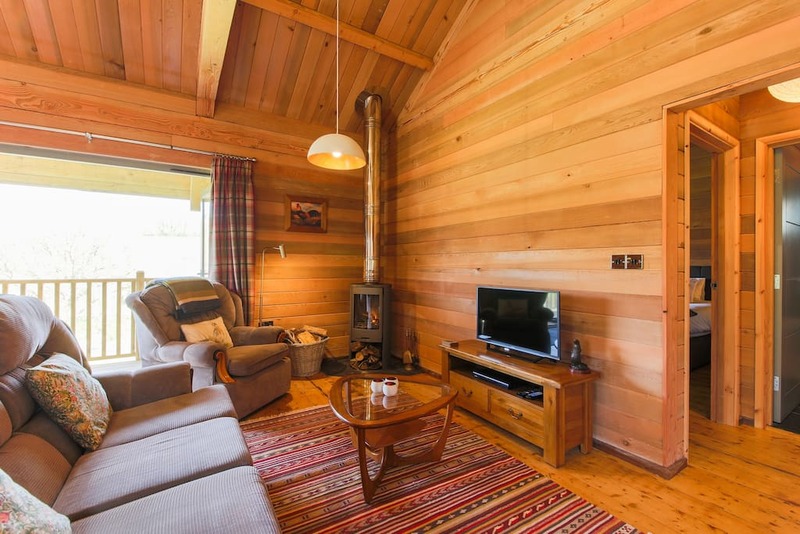 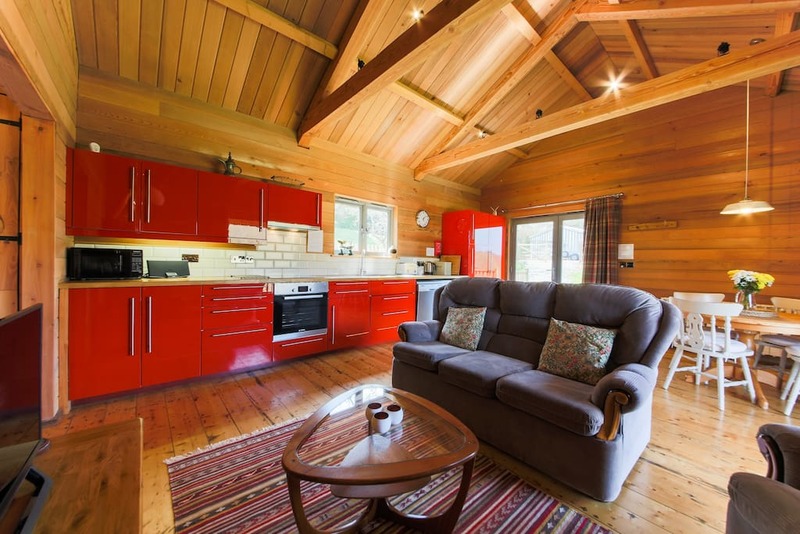 The lounge area has a comfortable sofa and armchair, TV/DVD, iPod dock, log burner and log store are at your disposal for a cosy and comfortable stay. 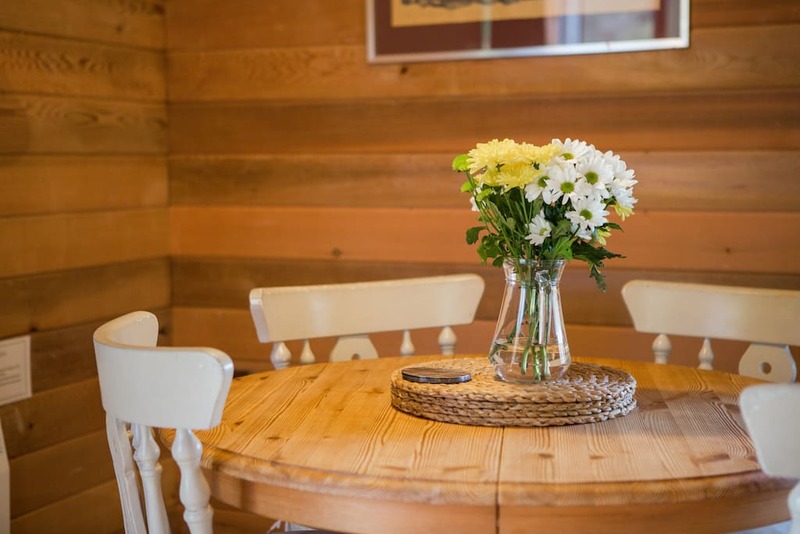 Please ask in advance if you require a travel cot or high-chair, which are provided free of charge. 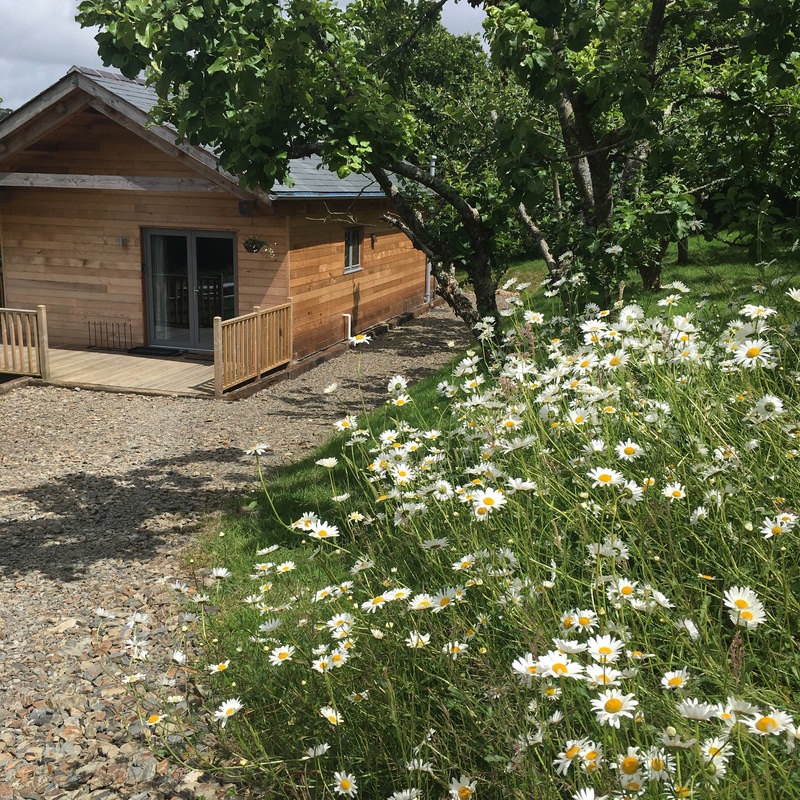 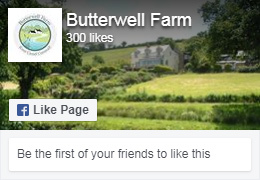 Well behaved dogs are welcome but they should be kept on a lead when outside of the enclosed adjacent paddock.